For living in the world with a view of knowledge and wisdom every nation need a well organized Tradition. Though we have to keep pace with the modern world we should not forget the age old and supreme culture of the nation. That was the main reason that took the government to establish The Bangla Academy in 1962 at that time. It was a realistic thought of the government for keeping reserved the Bangladeshi culture, custom, colure and tradition. There are some aspects of modern civilization like computer training, literature study and organizing The Bangla Academy’s Book Fair in this Academy. In this technical and competitive era traadition is must for all kinds of general and educated people. To raise curiosity about tradition among the student and to use it like an asset is the main goal of Bangla Academy. So student should survey The Bangla Academy for getting a general knowledge of Bangladeshi tradition. Many of we live in Dhaka city do not familiar to it and do not know how deep the Bangladeshi culture is and also not introduced with many true heroes of Bangladesh. So for knowing this entire thing we should visit The Bangla Academy by ourselves. In this way students will find themselves not to forgot the tradition and with the modern culture they will use there own culture. So in this highly educative period student should get practical and general knowledge about the Bangla Academy and for that reason the survey is very important. Bangladesh is a crowded country. It is 7th populated country in the world. Not only the over population is a problem of a country but also it can bring much development to the nation if the population is educated, active and expert. Bangla Academy plays a vital role to make the general people educated, active, expert and self dependent. 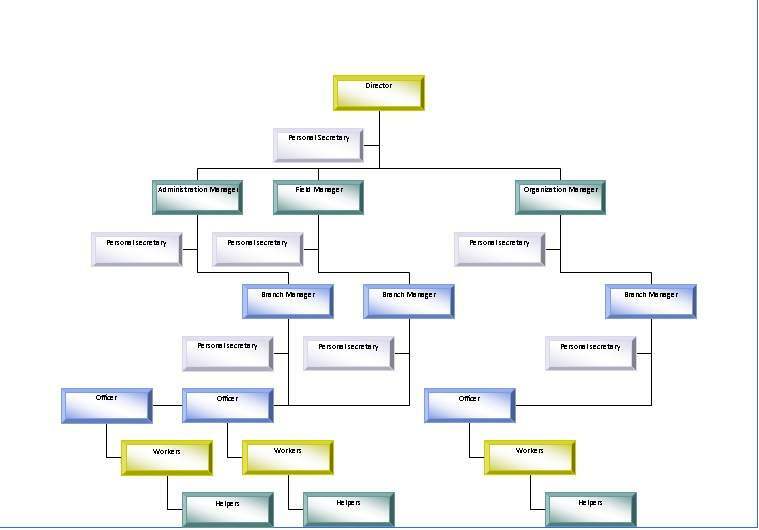 It is a governmental institute organized and operated by the government of Bangladesh. The entire sector is interrelated with some divisions and subdivision like: Burdwan House [primary office], Library, Press building, Canteen, Culture and Tradition collection room. There is also some outside sculpture like the ‘Nazrul Stage’ [Nazrul Mancha], a huge sculpture named ‘Moder Gurbho’ including 7 language martyrs’ face. Nazrul memorial hall, Computer training center etc. Location: University Area [T.S.C. Morh], Shahabagh, Dhaka. 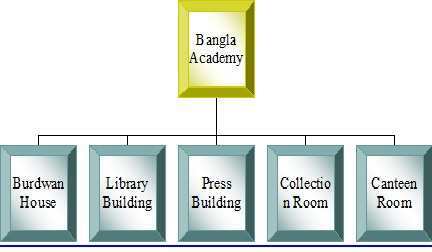 Number of Branch:BanglaAcademy has no Branch except the Head Office. To Keep the Bangla language upright among the world and in Bangladesh too. To established the age old tradition among the general people. To restore all the facts that has been disappeared from our country. To introduce ourselves with the rural culture and custom. To help the rural people being self reliant and make them well off. To built an active and helpful mass media. To rise the respect for the language martyrs and for the International Mother Language Day. To organize a well and enjoyable Book Fair every year for upright our mother tongue. Burdwan House is one of the traditional buildings in Dhaka city. It was built in the period of Bongovongo 1906. Some says it was built after it. In the time of diarchy, the Maharaja of Burdwan was lived here from 1921 to 1924. At that time the building was one stored and in the back side there was a servant villa. It has been used as guest house for the high rank government officers till 1947. Including Ramesh Chandra Majumder some professor of DhakaUniversity has lived here. When Kazi Motaher Hussein lived here once Kazi Nazrul Islam was his guest. From 14th August, 1947 to April 1954 it was the residence of the Chief Minister of East Bangla. Time to time many students of DhakaUniversity has lived here. After 1954, many cultural programs and displays were arranged here. At that time here opened an office of Art Council now known as SilpaKalaAcademy. In 1954 Ostad Allauddin Kha lived here for some days. Here were also two offices of United Nations and Information Technology Sector. According to the 21 terms of United Font in 3rd December of 1955 first Bangla Academy lunched in this building. Bangla Academy started its work with some parts of this building in 8th December 1955. In 1958 the total building cones to the control of Bangla Academy. In this building many highly educated persons and VIPs has worked in particular times. Among them Dr. Mohammad Shahidulla, Mohammed Borkotulla, Dr Mohammad Anamul Hauqe, Prof. Saiyad Ali Ahasan, Dr. Kazi Deen Mohammad, Prof. Kabir Choudhury were famous most. In the first floor of this building there is a room used for keeping the memories of our national poet Kazi Nazrul Islam. This room is known as Nazrul Memorial Hall. By the side of the Nazrul Memorial Hall there is a laboratory of Dr. Mohammad Shaidulla. [The dreamer of Bangla Academy was this highly talented person Dr. Mohammad Shaidulla [1885 -1969]. Before the starting of Bangla Academy he was the member of expert committee [April 1954]. He was also the first arranger of Bangla Academy. At the side room of the laboratory of Dr. Mohammad Shaidulla there has been kept codex and stories of 15th century. Total number of collection is about 500. In this room there is also a chair which was used by Dr. Shahidulla. In the 2nd floor of this building there is Folklore subdivision. Of Bangla Academy gives computer training. In the front of Burdwan house under a big banyan tree there is a stage called Nazrul Mancha. There is also a statue of Kazi Nazrul Islam which is made of brass. This monument was made by Hamid-ud-zaman and designed by Lutfur Haque in 2003. In this stage many cultural programs take place. Behind of the Nazrul Mancha there is situated a big Library in building. This building also called the ‘Akusa Vabon’. It started its work in the year of 1955 in December. The first magazine of Bangla Academy was published by this Library in January, 1957. First book published in that year in June in this Library. The name of this book was ‘Laily Majnu’. In 1971 the total number of books published by Bangla Academy Library was 317. From 1972 to 2007 the total number of published books and magazines were 4523. At present there are saleable books are 1423 and magazines are 6 in number in the list of library. Most popular magazines are ‘Sheshutush’, ‘Dhan Shalikar Desh’, and ‘BanglaAcademy’. In 1997 ISBN number has been given to the books of Bangla Academy. Each year Bangla Academy organized a book fair which is very popular to all of us. In 1974 first book fair was opened by Chittoronjon Saha. Behind of the Burdwan House there is another building. In the ground floor of this building there is the press room where every kind of publishing works are done. In the 1st floor there is an assembly room and a collection room. The collection room is filled with many verities items which symbolize our own culture, color, pattern, tradition and custom. This room can be called the traditional items keeping room. In this room we found many aboriginal items like the model of Nakshi Pitaha, some modelof Nakshi Pakha, some piece of Nakshi Katha, decorated wood furniture, brass cookeries, many folk musical instruments [Dotara, Aktara, Satara, Satar, flute etc. ], aboriginal dress of men and women of Bangladesh and some Muslims’ emblem. Here is also we found a huge aftaba made by brass [collected in Tangail, 1983]. There is a net used for capture dove in village at very early time. There we also found a little bamboo made hut. The most magnificent emblem in this room is a wood made statue consists of four lyric poets of Bangla in one stand. The poets are Kazi Nazrul Islam. Rabindra Nath Tagore, Lanlon Shah and Hason Raza. In front of it there is the Seminar Hall. In front of the Seminar Hall there is two huge broad shoeing the changes of Bangla Alphabet in the changing times. By the side of the library there is canteen. This canteen used in various purposes. Most of the office worker eat there meals in this canteen. There is a huge sculpture named ‘Moder Gurbho’. It is a symbol of respect to the language martyr. The modeler of this sculpture was Akhil Pal. This is made by Gopal Chandro Pal and sponsored by Grameen Phone. This sculpture was opened by Dr. Faqruddin Ahammed the chief adviser of government of Bangladesh in 1st February, 2007. There is going a project that is bigger than at present sectors. 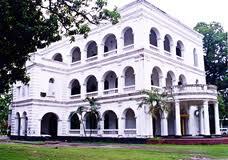 By visiting Bangla Academy we have gathered much general knowledge about an institution. Most of that Bangla Academy is huge sector and this visiting has increased our outlook and has given us vital information about our culture and tradition which is getting forgotten by ourselves. We can also knew from the visit that how can an institute develop in perfect maintain ace. The environment of this institute is very net and clean. The outer communication is maintained very perfect by its office. The workers are also very efficient in this office. I wish more develop for this institution and for its workers. It is very difficult to make any report at any subject. So for finishing this total report by visiting Bangla Academy I’m giving first thanks to the almighty Allah. Many many thanks to the officers and all the workers of Bangla Academy who have helped us in this project. And also special thanks to the Head of the Bangla Academy who has gave us the permission to visit the Academy. I am giving thanks to the Beer Shrestha Munshi Abdur Rouf Rifles College’s secretarial science department head Mr. Mizan sir and his fellow members Mr. Moudut sir and Alaya Mam for organizing all the works. Atlast I’m giving my respect and great fullness to all the respective persons who have give there label best try to make this visit perfect.